The Aguilar Filter Twin Bass Guitar Effects Pedal uses a unique effect circuit to create a wide range of all-time classic tones and completely new sounds. 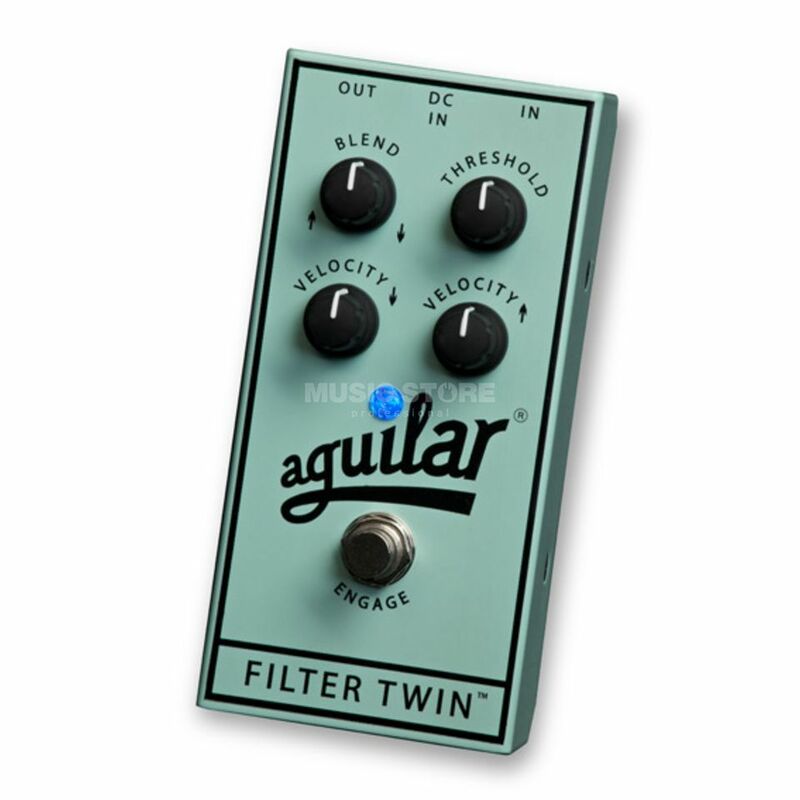 The Aguilar Filter Twin dual envelope filter features two identical filters that operate in opposite directions, one up and frequency and one down. Combined, these two filters produce classic ‘70s tones and original new sounds that are much more organic, vocal and expressive than any other bass envelope pedal. The Aguilar Filter Twin bass guitar effects pedal features a highly intuitive four-knob control layout that includes individual Velocity controls for each filter, along with master Blend and Threshold controls. The Blend control allows for the mix between both filters to be easily adjusted and the Threshold control determines the sensitivity of the pedal. The twin Velocity controls adjust the speed of each individual filter and allow for a wide range of amazing tones to easily achieved.